Army researchers are targeting ways to make small arms more accurate by removing the shooter from the loop. The gear they’re working on ranges from platforms that allow a sniper to insert his rifle for better stabilization while shooting from a helicopter, to nearly fully-automated robotic firing systems that can stand alone on the battlefield while the soldier fires via remote control behind cover. “We’re ... letting the computer do its thing so all the solder has to do is pull the trigger,” said Terence Rice, a project manager engineer at Army Materiel Command’s Research, Development and Engineering Command. Rice and researchers with his team presented and displayed some of the equipment at this week’s Association of the U.S. Army’s Annual Meeting & Exposition. Researchers are looking at both individual and crew-served weapons. They want soldiers with small arms to have the same abilities as an M1 Abrams tank, to fire on the move and hit targets. System sensors identify targets and track them as they move by drawing a digital “box” around the threat. Test have shown accurate center mass hits. But, Rice said, the next step is having the system adjust fire. For instance, if the target is wearing body armor, rather than aim for center mass, the system would strike a more vulnerable part. Testing has shown a more than 50 percent hit probability to vulnerable, non-center mass areas so far. Remote firing systems continue to improve, he said. 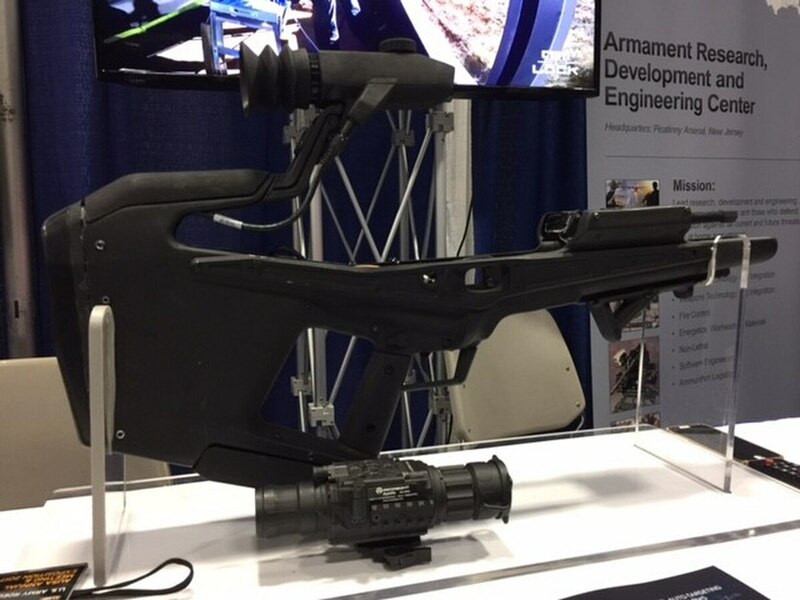 The goal is to improve accuracy and lethality through these stabilization and computer-enhanced systems in order to increase soldier survivability, he said.